Thirty trees were planted Wednesday along Gill Creek, near Hyde Park Lake, as part of Niagara Falls' reforestation effort for the creek. 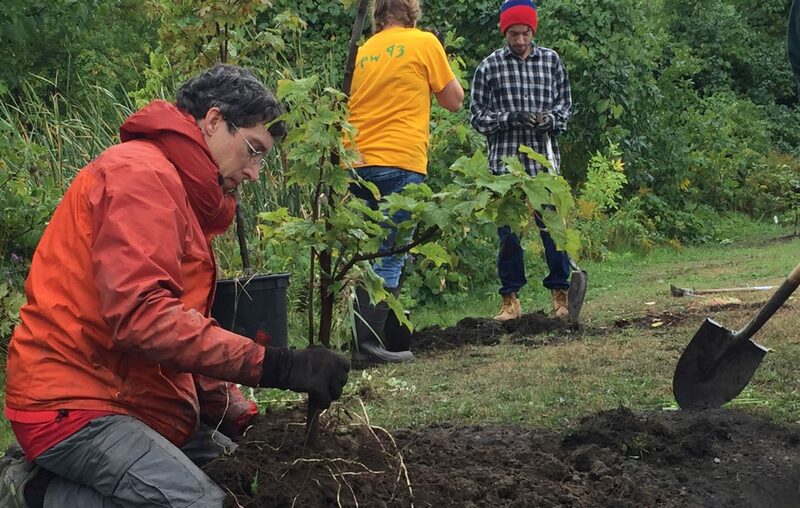 In June, the city won approval for $100,000 in Niagara River Greenway funds to plant 500 trees along Gill Creek between Hyde Park Lake and the upper Niagara River. Wednesday's planting, part of that project, replaced trees lost to disease, insect infestation and other causes. The plantings coincided with Buffalo Niagara Waterkeeper’s efforts to educate Falls residents about its Living Shoreline project for Gill Creek and Hyde Park Lake. Starting Wednesday, volunteers began going door to door in the neighborhood to talk about the work and encourage public support.